Emotional Pain And How To Stop It! | Begin Healing From Emotional Pain! Are Your Emotions And Feelings Causing You Pain? In order to stop emotional pain and negative emotions first, must we must look at what this infliction actually is. What are these basic emotions? Emotional pain is usually described as an unpleasant feeling or internal suffering that cause personal anguish. Regardless of how you try to describe it or the effects of trauma it can cause usually will not really reflect the experience properly. Negative emotions, which usually end up in depression and pain, are considered to be a characteristic of human nature and quite inescapable however treatable. Regardless of where or how these bad feelings began it most often ends up being an unpleasant and perpetual feeling that just lingers on and on making one’s life miserable and sometimes completely unbearable. No description does this turmoil justice so we will leave it there. As a human being, we have all kinds of emotions. Where do these emotions live specifically where does emotional pain reside? In this, I do not mean where do you feel the pain. What I am saying is are you feeling the pain from a Present Time experience or is there some evidence that it is more of a Memory of a past experience or even an intense fear of events that may be looming in the future. The probability is more of two later reasons and then you create a belief about your experience. This negativity takes root to grow and fester into emotional distress. Inability to change or remove yourself from a difficult situation. Why Is Emotional Pain Inflicted On You? Who is at fault? Focusing on the likely reasons we are stuck in or are experiencing emotional pain will most probably increase the issues rather than better them. This is particularly valid when most people are looking for reasons outside of themselves to attribute or blame their pain on as a scapegoat. It is and was a challenging circumstance, but if you judge, resent or blame you are stuck in pain and are not in a state of forgiveness and acceptance. So when unbearable emotional pain is too much what do you do? To justify blame, we tend to magnify pain. Attributing blame then stimulates anger to punish the perceived offender. Biologically, the association of pain/vulnerability with anger is almost irresistible; anger has survival-based analgesic and amphetamine effects – it temporarily numbs pain and provides a surge of energy and confidence to ward off a threat. But each repetition of this process reinforces perceived damage and vulnerability by making defense seem more necessary. Over time, the blame-anger response congeals into chronic resentment, which is a generalized, automatic defensive system geared to protect an ego made fragile by the perceived need for protection. To the resentful, painful emotions are not motivations to heal and improve but punishments inflicted by an unfair world. They try to control what other people think by devaluing or coercing them, thereby reinforcing the vulnerability they seek to avoid. One way your body responds to a circumstance that is experiencing that is doesn’t prefer. How To Deal With Negative Emotions? We as human beings live with certain physical restrictions. Unlike our true nature which is Spirit, Time and Space limitations are two of the main constraints. This hinders the ease to simply shift from grief to happiness or emptiness to fulfillment? It takes time and space for your body to adjust and change. By the way, nobody is saying it must be instantaneous. Acceptance of what is or what was. Forgiveness of what is or was. The 10 Steps To Releasing Emotional Pain? 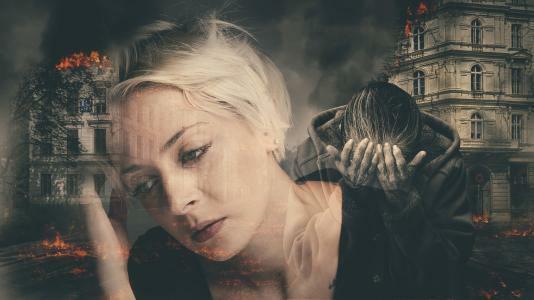 In addition to these three practices for working through emotional pain here are some clear steps and activities to help you change your reality from dealing with negative emotions to positive emotions. You can try one or all of these to help you change how you feel (change your vibration)! Playing with your positive Imagination. Hobbies – do something you enjoy. The feeling of helplessness that is associated with not being able to stop emotional pain is often accompanied by anger and fear is one of our human experiences. These may not be enjoyable however they can be overcome. Healing is possible! Others have done it so can you! How to stop emotional pain? Explanation of the 10 Steps to releasing emotional pain! 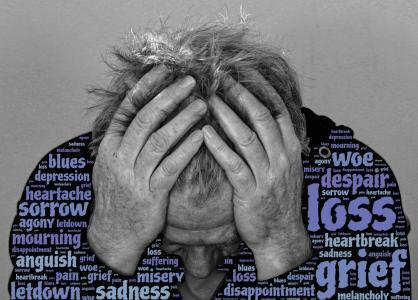 Join us on this episode of Unlocking Your Truth, Stop Emotional Pain, and learn how to deal with depression, emotional pain, and their effects. Begin healing your heart of painful emotions that are holding you, prisoner. Unlocking Your Truth is my weekly radio show where we discuss all things metaphysical like Stop Emotional Pain! And much more! The show airs on CIVL 101.7 FM at 7-8PM (Pacific Time) every Tuesday evening or live-stream the show at CIVL.ca. During each of our Unlocking Your Truth episodes, we also answer email questions from our listeners (click here to submit a question) as well as occasionally do readings live on air for our call in guests. You can call in 604.504.7441 ext 4142 and ask anything you want.